Our teeth are meant to last a lifetime. Every person only receives one set of permanent teeth to serve them from childhood through their senior adult years. However, damage can sometimes occur to a tooth causing the inside of the tooth to become infected. Because the roots of the teeth are made up of living blood vessels and nerves and because living gum tissues surrounds the teeth, it is absolutely essential that any infection be treated. At Gold Hill Dentistry, we are dedicated to the long-term health of our patients’ mouths. We are the dental practice that Fort Mill and surrounding areas turn to for painless and effective root canal therapy procedures. Any infection of the mouth can be extremely painful, and it can also easily travel through the blood stream to other parts of the body. A root canal therapy is an endodontic treatment that involves opening the tooth, removing the damaged pulp, cleaning, shaping, filling, and sealing the tooth in order to save it. At Gold Hill Dentistry, our root canals are not painful. We specialize in eliminating the pain caused by damaged or infected teeth without causing further pain while in our office. 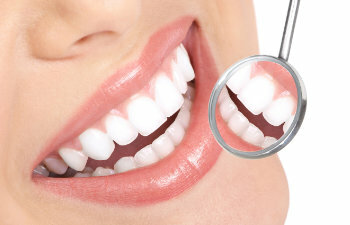 We use the latest in dental technology and specialized technique to give patients the results they deserve. If you are looking for a gentle and qualified dental practice to treat your painful tooth, contact Gold Hill Dentistry today. We are currently welcoming new patients, and we want to treat your tooth before the infection or damage becomes severe enough to cause further damage. Let us eliminate your tooth pain today and restore your smile to its proper health.